AUSTIN, Texas - A Texas state agency has released a new edition of a booklet for women considering an abortion that suggests there may be a link between terminating pregnancies and increased risks of breast cancer and depression. The Texas Department of State Health Services issued the new edition of “A Woman’s Right to Know” on Monday. Since 2003, state law has mandated that pregnant women be provided information when mulling an abortion. The new edition of the booklet contains a section titled “Breast Cancer Risk,” despite numerous, peer-reviewed studies that have refuted links between abortion and breast cancer. The booklet also says women who terminate pregnancies can become suicidal and infertile. The Supreme Court has struck down key provisions of Texas’ 2013 law placing some of the nation’s tightest restrictions on abortion. The booklet caused controversy when it was first announced in July. The Department of State Health Services said it would evaluate comments before publishing the final version. The agency said it would only consider comments on its revisions, not the booklet as a whole - and many of the most controversial sections aren’t new. The booklet also says women can become depressed or have thoughts of suicide after an abortion. 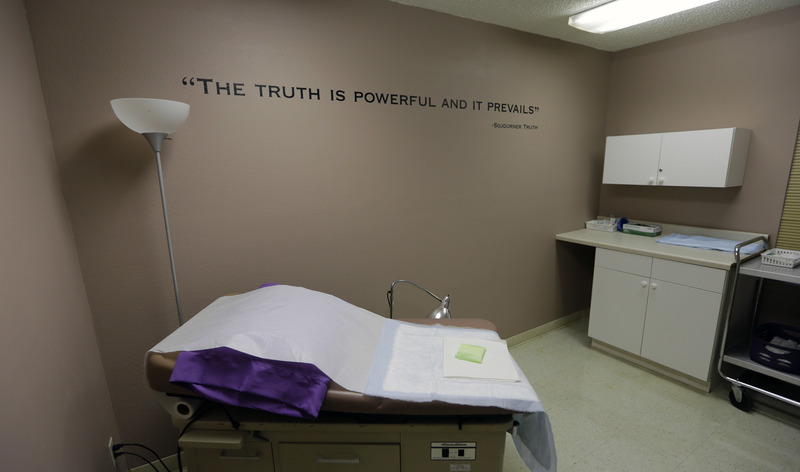 It also says that “we know babies develop the ability to feel pain while in the womb,” and, in a section that’s new this year, adds the Republican-controlled Texas Legislature in 2013 banned abortion after 20 weeks due to “consideration of the potential for fetal pain.” Peer-reviewed medical studies say fetal pain is likely not felt until closer to 30 weeks into pregnancy.